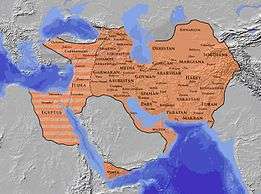 Balasagan (literally meaning "country of Balas") was a satrapy of the Sasanian Empire. Shapur I's inscription at Naqsh-e-Rostam describes the satrapy as "extending to the Caucasus mountains and the Gate of Albania (also known as Gate of the Alans)", but for the most part it was located south of the lower course of the rivers Kura and the Aras (Araxes), bordered on the south by Adurbadagan, and had the Caspian Sea on its east. Balasagan is also mentioned separately from Albania as a province of the empire at Shapur's inscription, which indicates that it was its own political entity even though it was subject to Albania. 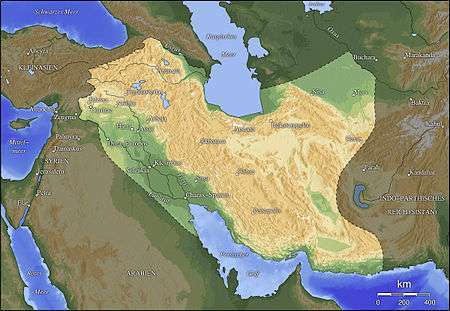 The monarch of Balasagan also gained the title of King under Ardashir, which would indicate it becoming a vassal. After the conversion of Armenia to Christianity, and subsequently Iberia and Albania Balasagan was also slowly converted to Christianity. During the reign of Yazdegerd II, the king of Balasagan, Heran, sided with the Sassanids and helped crush an Armenian revolt, however he himself revolted later on and was executed.